Alto have recently become a part of the InMusic empire, which also owns the Alesis, M‑Audio, Akai, Air, Ion, Mixmeister, Sonivox and Numark brands. Most of their products, including Alto's, are built in China to keep costs down. The design work for these speakers, however, was carried out in the USA, and both the Black 10 speakers and Black 15 subwoofer reviewed here incorporate high‑power amp technology and the means to control key on‑board DSP settings via Bluetooth, using an iPhone, iPad or iPod Touch. Note that the Black series also includes a 12‑inch and a 15‑inch two‑way speaker, as well as an 18‑inch sub. The Black 10 is built into a very stylish plywood cabinet with a tough, textured‑paint finish. A perforated, powder‑coated steel grille covers the drivers, and a large handle is inset into the top of the cabinet for one‑handed lifting. 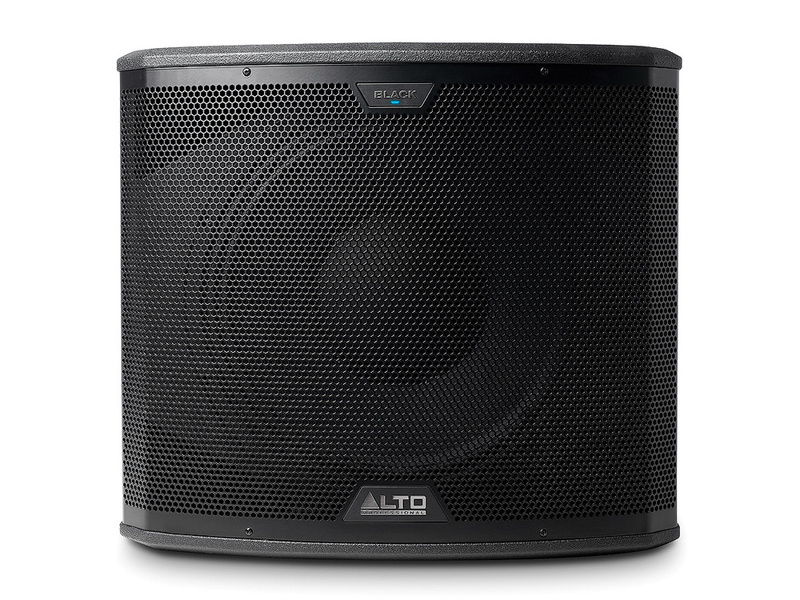 The drivers comprise a 10‑inch woofer with a 2.5‑inch voice coil, and a 1.75‑inch HF driver feeding a one‑inch‑throat horn that is designed to produce a 90 x 60‑degree coverage pattern. Powered by a universal‑voltage, switching‑mode power supply, the Class‑D amplifiers have a total continuous power rating of 1200W and a peak rating of twice that. DSP is used to provide the necessary crossover and driver protection functions, as well as to offer time-alignment and a number of EQ response curves suited to different applications. Ground‑lift switches are also fitted. A simple built‑in mixer is present, for basic stand‑alone use, and this can accept one mic/line input and one line‑only input, each with its own level control. An XLR output is available to feed additional speakers, the signal from which may be sourced pre or post the input level controls via an Output Mix switch. All mid/tops in the Black range feature a simple two‑channel mixer, with one mic/line input and one line‑only input, as well as a mix‑out XLR. Various voicing curves may be selected from the rear panel, or via the free Live Drive app running on a suitable Bluetooth‑capable iOS device. 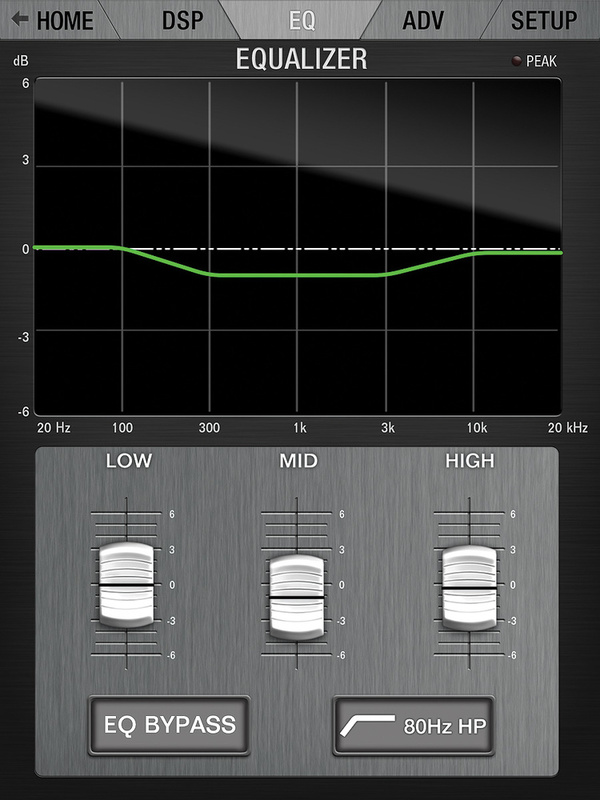 Speaker levels and time‑alignment delays may also be adjusted via this app. The on‑board Bluetooth connectivity has an enhanced range function that can work at up to 100 feet, provided there is a line of sight. Mains comes in on the usual IEC connector, next to which is a power switch and power LED. In accordance with EC energy‑saving directives, there's a standby mode that will power down the speaker if no audio is detected for a period of 15 minutes, a state indicated by the standby LED. On receipt of audio, the speaker will reawaken in around half a second (though the standby feature can be disabled if preferred). There's even a separate switch for the backlight in the Alto logo! Both the standby and logo light switches are behind the panel and require that a small tool, such as a matchstick, be poked through holes in the panel to operate them. Mic/line switching is available for input 1, and both inputs are on balanced 'combi' XLR/jack sockets for flexibility of connection. The green signal‑present LED is accompanied by a red peak LED, and these are used to set the levels. A DSP Mode button steps through a choice of five response curves, including a flat mode and an 80Hz low‑cut setting for use with a subwoofer that doesn't filter the signal feeding the main speakers. 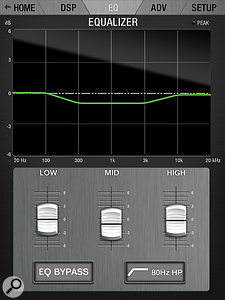 A custom EQ setting may also be stored in position five, though this must be set up first using the Live Drive app. 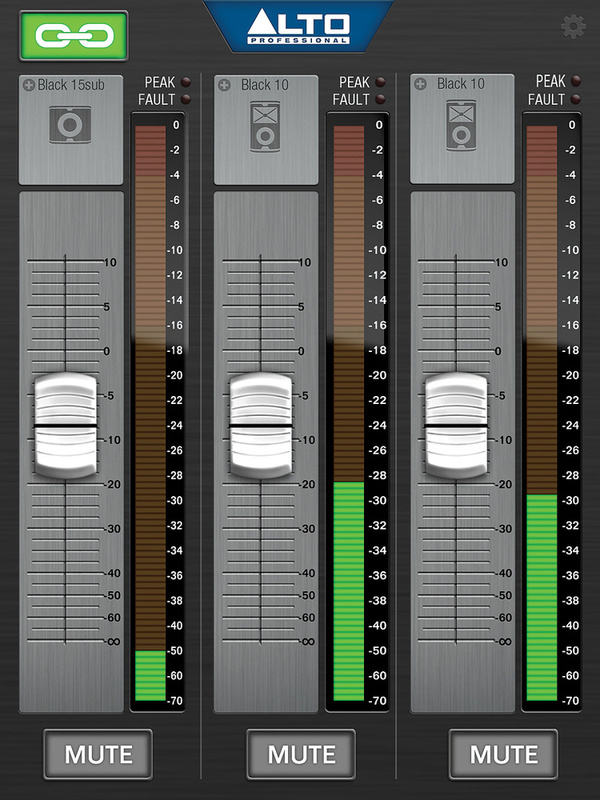 The app's EQ page hosts a fairly basic three‑band, fixed-frequency EQ plus an 80Hz low‑cut filter, and whatever EQ response you set up there becomes the Custom setting. Ground‑lift and Bluetooth pairing buttons are also fitted. All these controls and connectors are on a recessed panel, which also incorporates a shallow finned heatsink for the power amplifiers. As is commonplace these days, the cabinet has a steeply angled rear corner that allows it to be positioned as an upward‑facing floor monitor, where strategically placed rubber feet prevent slipping. I have to say that the cabinet appears to be very solidly and tidily built, and inspires rather more confidence than most similarly sized plastic‑box speakers. Used without a sub, the speakers have a frequency range of 51Hz to 20kHz (±3dB), with a maximum SPL of 132dB at one metre. That's pretty impressive from a 10‑inch speaker system. Despite the promise of massive power, the cabinets are reasonably manageable, thanks in part to the light weight of Class‑D amplification and switching‑mode power supplies. They measure 560 x 330 x 344 mm and weigh 20.7kg each. A standard pole‑mount socket is fitted to the base, and there are also 12 M10 thread flying points for permanent installation. 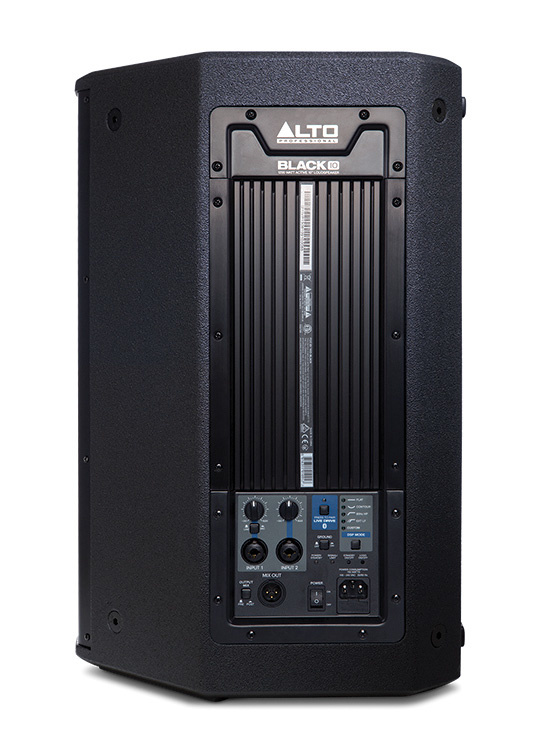 The matching Black 15 sub has the same power rating as the Black 10s and, again, features Bluetooth connectivity allowing the sub to talk to the Live Drive app. Where multiple Black series speakers are used in a system, they can be linked to allow the Live Drive settings to affect them all, rather than having to deal with them individually. A single, long‑throw 15‑inch speaker with a four‑inch voice coil delivers the power to the outside world, and the ported casework, like that of the tops, is made from plywood rather than plastic and benefits from a similarly styled metal grille. There are inset handles on both sides of the case, although you wouldn't want to carry it too far on your own. The case measures 458 x 513 x 638mm and weighs 42.8kg. Adjustable level and polarity controls are located on the recessed control panel, which is similar in style to that of the Black 10. The panel also houses a ground‑lift The Black 15 Sub has stereo inputs and stereo outputs, the latter of which can be switched between outputting a full‑range or high‑pass‑filtered signal. switch, stereo 'combi' inputs and matching XLR outputs for feeding the main speakers (these can be set to full range or high‑pass filtered). M10 thread rigging points are also fitted in 12 locations. The base of the cabinet has steel reinforced rubber feet, and a 'drop‑in' pole socket in the top allows one of the main speakers to be positioned above the sub using a standard 35mm pole. The frequency response of the sub is 33 to 140 Hz (±3dB) with a maximum peak SPL of 132dB, which we're told is measured rather than simply calculated. As with the Black 10s, thermal and clip protection is built into the amplifiers, and there are five user‑selectable low‑pass modes for the outputs, from 80 to 140 Hz or bypassed. The only part of this system that really requires any detailed explanation is the Live Drive app, the main Home page of which shows any speakers in the system along with a master level fader and a level meter for each. A Chain Link button allows the controls to be linked, which includes level and DSP settings so that all the tops in a system will behave the same, all the subs will behave the same, and the level of the tops and subs is linked. As the sub has its own physical level control on the back panel, this may be adjusted if the sub level is deemed too loud in linked mode. 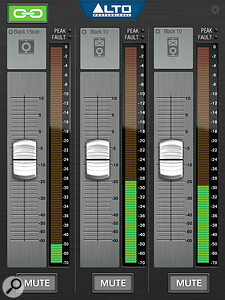 The app's level fader is essentially a master volume setting — it does not override the physical controls on the back of the speaker. A global Setup page enables a test tone to be sent to any speaker as a means of confirming which is which, and this page also lets you set up password protection for the system. Touching any speaker icon on the Home page takes you to the further edit pages for that speaker, specifically the DSP page with the five curve options, the EQ page for setting the Custom curve, and the Advanced page, where it is possible to set a high‑pass filter with an adjustable frequency The Live Drive app lets you adjust the level of every Black‑series speaker in your system, and also to link their levels so that they can all be changed at once. as well as a delay, which can be entered in feet, metres or milliseconds. Just be warned that if you set up the system using Live Drive with the level faders only half way up or so, and then you power it up again when the Bluetooth is switched off, the volume setting will revert to maximum. Once I'd linked each speaker via Bluetooth, which was a straightforward procedure, everything worked without fuss. Tested individually and with commercial music as a sound source, the Black 10s deliver a surprisingly tight and punchy sound with a clean mid-range. While not quite in the same league as studio monitors when it comes to out‑and‑out fidelity, they lean much more in that direction than many PA speakers I've tested. At extreme level settings the highs become a touch brash, but this tends to soften with distance, so unless you really thrash the speakers they should sound good in a typical venue. Importantly the vocal range comes across strongly as the 10‑inch driver doesn't have to struggle to meet the point where it crosses over comfortably with the horn‑loaded tweeter. Adding the sub takes a little load off the Black 10s as they no longer need to deal with anything below 80Hz, so it is possible to get a bit more clean level as well as almost an octave more deep bass than from the Black 10s alone set to flat. There's a lot of depth and power available from this sub, with no sense of it having to work hard. Nevertheless, unless you need very high SPLs, the Black 10s do a fair job at the low end too, so in smaller venues you may be able to leave the sub at home. I was also pleased by the horizontal coverage, which delivers a clean and pleasing sound even when you're well off‑axis. Clearly the extreme highs fall away as you move off‑axis, but what remains is still clear. Also important is the lack of boxy cabinet resonances, which I've often found to be objectionably audible when standing close to the back of certain plastic speaker cabinets. This can be very off‑putting in small venues where you are forced to stand close to the speakers, but these wooden boxes behave very well in that respect. My previous experience with Alto's plastic box speakers had me Live Drive also allows you to choose from the preset EQs on the mid/top Black speakers, and to create your own custom response. thinking the company specialised in economically priced products that performed well within their price range, but that didn't really offer any kind of challenge to more costly systems. The Black series creates a very different impression. Their standard of finish and styling is as good as anything I've seen at any price, and while their pricing can't allow for anything too esoteric in the way of drivers, this system delivers the goods with style. The sound quality when playing commercial records is of a high standard in comparison with many other 'boom and tizz' PA systems in this price range, and there's also plenty of level available, so both quality and quantity are satisfied. 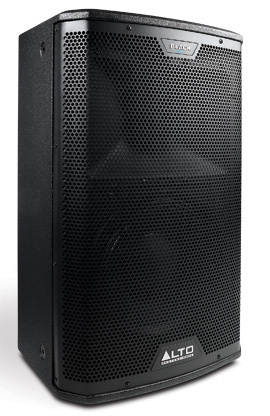 Vocals come across strongly and a single 15‑inch sub is quite capable of beefing up the bass guitar and kick drum in a typical pub or club venue while not succumbing to 'one‑note' bass as so many economy subs do. Adding a further sub would create quite a formidable system, and if your back can stand it, there's also the 18‑inch version to consider. While the free Alto Live Drive control app isn't strictly necessary, it does provide a convenient means of adjusting the system from an audience perspective, and it has been designed to be very easy to use. By way of portability, the Black 10s are nicely compact and manageable by one person. The sub is also as compact as you could reasonably expect a 15‑inch sub to be, although it is a two-person lift, at least, if you value your back. In all, this system represents good value, and the designers have made a good job of juggling build quality, price, performance and portability. The Black speakers are priced in the same ballpark as Mackie, LD Systems, HK and suchlike, though many of their competitors offer similarly sized alternatives in both wood and plastic. 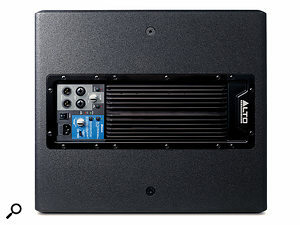 Class‑D amplifiers and switching‑mode PSUs allow for very high amplifier power ratings. Useful free Live Drive app for Bluetooth control. There's nothing I didn't like, other than having to move the sub on my own! An affordably priced wooden‑box system capable of very high SPLs with clean sound quality. Black 10 £669, Black 15 Sub £919. Prices are per speaker, including VAT. Black 10 $749.99, Black 15 Sub $1099.99. Prices are per speaker.